The Energy Code Ambassadors Program (ECAP) is an International Code Council (ICC) program SPEER has implemented in collaboration with the State Energy Conservation Office (SECO), and the Building Codes Assistance Project (BCAP). Ambassadors are a select group of experienced code officials, raters and builders who understand the challenges and benefits of energy code compliance. They receive advanced training each year to maintain their status as Ambassadors. 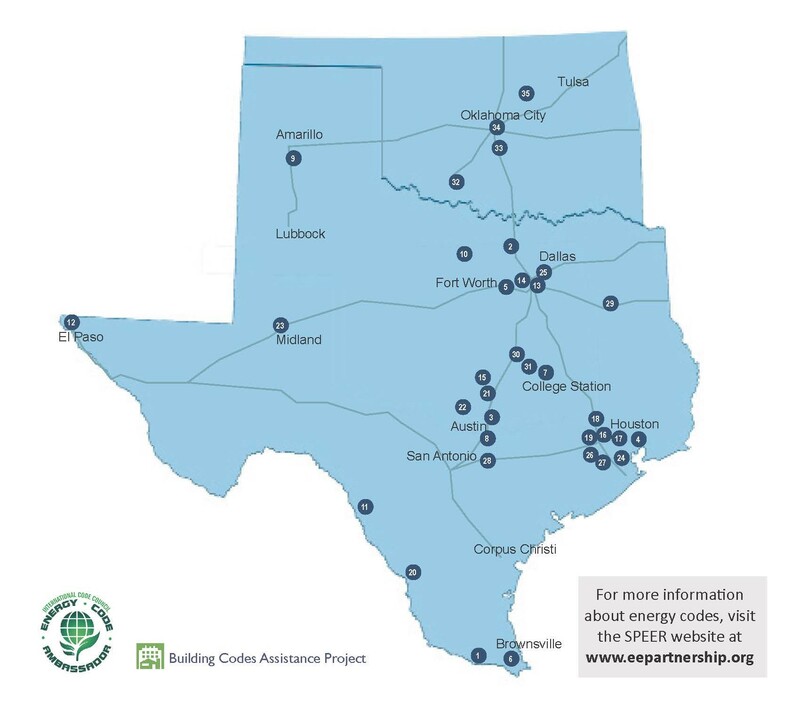 Ambassadors are located throughout Texas and Oklahoma to provide guidance and peer to peer support to building officials, builders and contractors on energy code issues. SPEER’s Energy Code Ambassadors have received training on the 2015 energy codes, so can provide related resources, training, advice and real world solutions for their local area code officials, third-party providers, or builders and contractors, with a simple call or email. The Ambassadors are experienced code officials, raters and builders who understand the challenges and benefits of energy code compliance. Ambassadors also have access to the SPEER network for more complex issues, questions or needs of their local industry participants. There are now 35 Ambassadors located throughout Texas and Oklahoma to provide guidance and peer to peer support on energy code issues. For additional resources and information about the adoption and compliance with energy codes click here or contact SPEER. 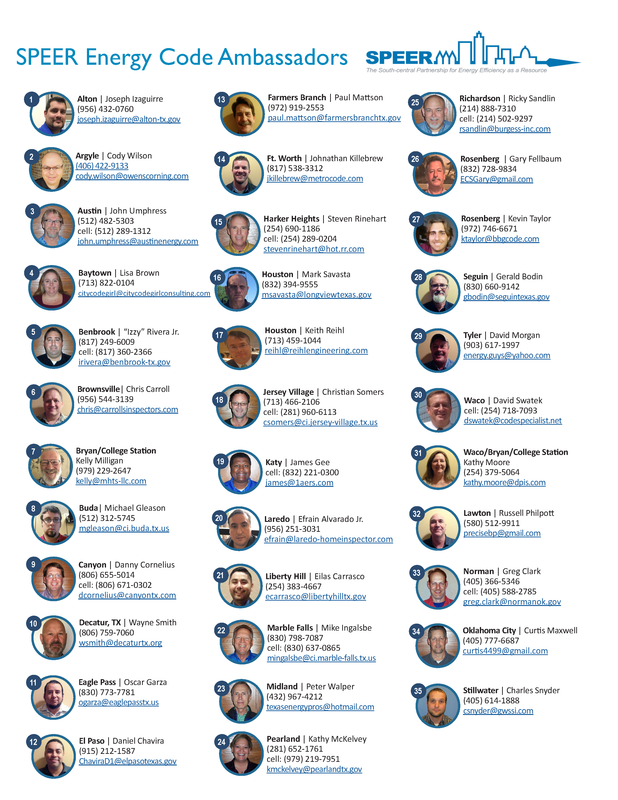 To download a printable Ambassador map, click here.